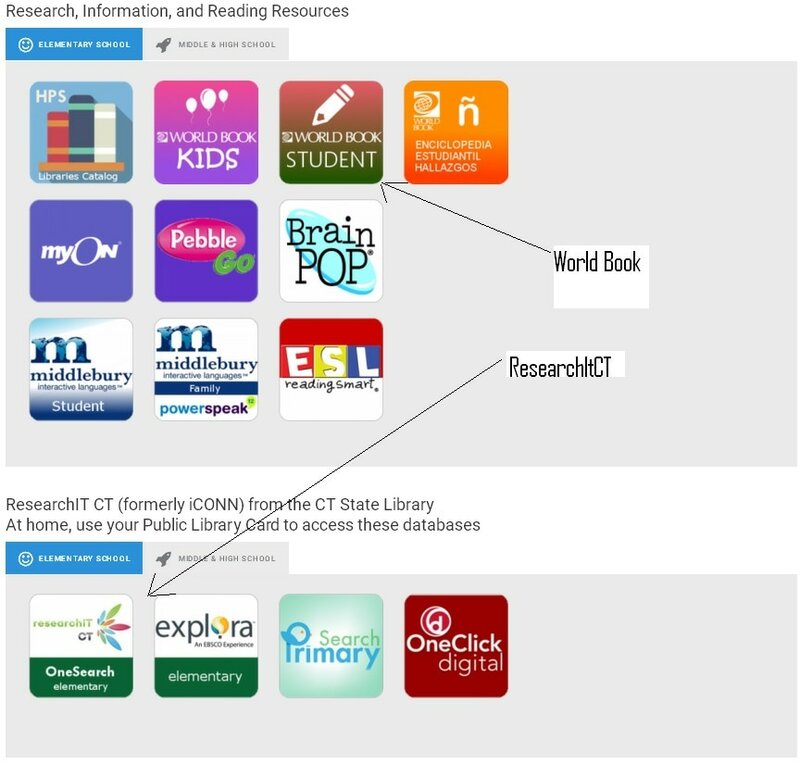 From our school, you can access RESEARCHITCT and the following research sites for free. For ResearchITCT, you can also access it at home but you will need to enter your public library card information. Click on the image below to be brought to the Hartford Public Schools resource page to see ALL the available resources.